This work is in the public domain in the United States because it is a work of the United States Federal Government under the terms of 17 U.S.C. § 105. See Copyright. Note: This only applies to works of the Federal Government and not to the work of any individual US state, territory, commonwealth, county, subdivision, or municipality. 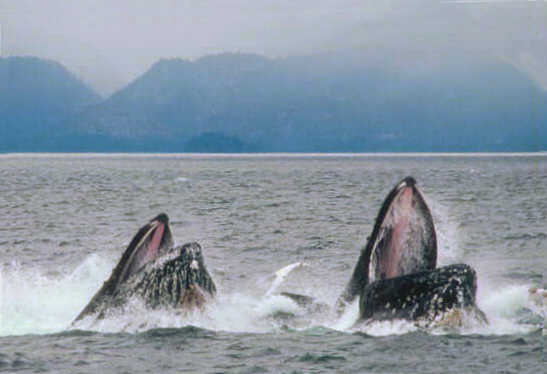 This image shows a pair of Humpback Whales "lunge-feeding". See Humpback Whale for details.